Ken Adams Makes A Standing Offer. ≈ Comments Off on Ken Adams Makes A Standing Offer. Ken Adams has made a “standing offer.” If you send him one of your contract templates, he will take the time to edit it. 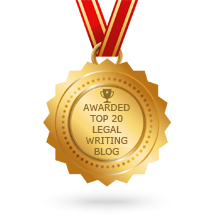 Using Abbreviations and Definitions in Legal Writing. ≈ Comments Off on Using Abbreviations and Definitions in Legal Writing. Ken Adams provides excellent examples of how to use an abbreviations and definitions. Use this for contracts, but keep in mind that it also works in pleadings, motions, discovery, etc. ≈ Comments Off on Promises, Promises. For the sheer heck of it, let’s look at how the verb promises is used in contracts. . . .
Is It “Shall Not . . . Unless” Or “May . . . Only If”? ≈ Comments Off on Is It “Shall Not . . . Unless” Or “May . . . Only If”? One of the privileges of blogging is that it gives you the opportunity to talk utter BS without doing much damage. A case in point is this post, originally published on August 4, 2014. Acme shall not sell the Shares unless Widgetco consents. Acme may sell the Shares only if Widgetco consents. In an August 6 update I opted for the version with shall not, saying that it avoids the uncertainty inherent in the version using may … only. Well, I’m here to tell you that that’s incorrect, in that both versions incorporate uncertainty. In the version with shall not, the question is what category of contract language applies if Widgetco consents. Our old friend the expectation of relevance (more about that here) suggests that Acme may sell the Shares if Widgetco consents, but it’s conceivable that it might instead be obligated to sell the Shares if Widgetco consents. And in the version with may . . . only, the expectation of relevance suggests that Acme may not sell the Shares if Widgetco doesn’t consent, but it’s conceivable that it might instead be obligated to sell the Shares if Widgetco doesn’t consent. Acme shall not sell the Shares, but it may sell the Shares if Widgetco consents. Would I go to the trouble of eliminating the expectation of relevance? I think so, but I acknowledge that doing so would be pretty hard-core. If you don’t want to eliminate the expectation of relevance, which of the two original options would I go for now? Still the version with shall not. The default position is that absent contract restrictions, one may do stuff, so it follows that it’s the prohibition that has teeth; I’d lead with it. Compilation of Ken Adams’ Articles on Contract Drafting. ≈ Comments Off on Compilation of Ken Adams’ Articles on Contract Drafting. In addition to Ken’s posts from February 2013, this blog contains Ken’s posts from The Koncise Drafter (from December 2010 to February 2013) and from the AdamsDrafting blog (from May 2006 to December 2010). Proper Punctuation Matters, Especially When Drafting Contracts. ≈ Comments Off on Proper Punctuation Matters, Especially When Drafting Contracts. 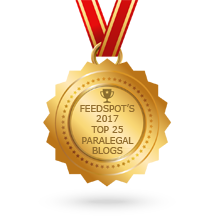 My Forthcoming Article, “Bamboozled by a Comma: The Second Circuit’s Misdiagnosis of Ambiguity in American International Group, Inc. v. Bank of America Corp.” by Ken Adams, Adams On Contract Drafting Blog (to be published in 16 Scribes J. Legal Writing (forthcoming 2014). It may sound picky but, as Ken Adams’ example illustrates in this post, proper punctuation matters. A misplaced comma can completely change the meaning of a sentence.